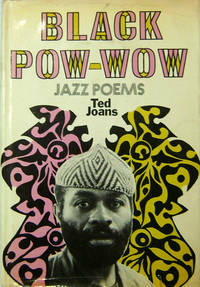 From Black Pow-Wow to Uptown Beat - Vol2, No3, we can help you find the poetry by period books you are looking for. As the world's largest independent marketplace for new, used and rare books, you always get the best in service and value when you buy from Biblio.com, and all of your purchases are backed by our return guarantee. Santa Barbara: Capra Press, 1976. First Edition. Hardcover. Fine. Early collection of poems, one of only 100 numbered and SIGNED copies of the hardcover issue of a total edition of 1100. (Port Townsend, WA): (Graywolf Press), (1976). First Edition. Softcover. Fine. Pictorial dark brown wraps. One of 600 softcover copies out of an edition of 750. INSCRIBED by the poet on the title page: "For William Meredith,/with long-standing admiration/David Wagoner/June '77." Laid in is a TYPED LETTER SIGNED from Wagoner to Meredith about where he lives and how it affects his work and asking him to submit to POETRY NORTHWEST. With the original envelope addressed in Wagoner's hand with a note on the rear. New York: Charles Scribner's Sons, (1972). First Edition. Hardcover. Fine in a close to Fine dustwrapper. Collection of poems by this noted anthropologist. SIGNED by the author on the title page. London: Jonathan Cape, (1930). First Edition. hardcover. Very light wear. Near Fine in a lightly soiled, Very Good dustwrapper. Poet's first book, published in England before America. With the errata slip tipped in and the publisher's response card laid in. Especially scarce in dustwrapper. (Salisbury, MD): Scarab Press, (1982). First Edition. Wraps. A few faint spots to covers. About Fine. Trade" issue. Intaglio illustration on the front cover by Patrick H. Cardiff. Copy #98 of 75 (of a total edition of 100) numbered copies SIGNED twice by the author, once on the title page and again on the colophon page. His first limited edition after achieving some commercial success. New York: Alfred A. Knopf, 1980. First Edition. Softcover. Near Fine. Meredith's own copy of the uncorrected proof in printed wraps. Laid in on a 7" x 5" card is a MANUSCRIPT poem from the book, "Country Stars," written by Meredith and dated January 1975. New York: Charles Scribner's Sons, (1957). First Edition. Hardcover. Near Fine in a Near Fine dustwrapper. Moss's third collection. INSCRIBED by the poet on the front endpaper to the poet William Meredith: "For Bill,/fondly, from/Howard." Palo Alto, California: American West Publishing Company, 1970. Hardcover. Very Good+/Good+. Charming anthology of old western verse. Much like its theme, the book is nice and sturdy with only superficial wear. Unlike its theme, it is also clean! The jacket has a strip of mailing tape running along the top to secure some tears and also has a tear and price clip on the inner front flap. Packed and shipped with care. New York: The Viking Press, (1966). First Edition. Hardcover. Slight dust spotting to the top edge. Fine in a lightly soiled, Near Fine dustwrapper. INSCRIBED and SIGNED "For Bill Meredith/who knows/these weathers and edges/in good friendship/over many seasons...." SIGNED publisher's compliments card laid in. New York: Henry Holt, 1915. First American Edition. Hardcover. Owner name of Henry Meigs dated "8-15-15" on the front endpaper and occasional pencil marks throughout. Faint stain to cloth at front cover. Near Fine in a gorgeous and scarce first issue dustwrapper. Stated "Third Edition" on the copyright page but actually the Second Edition and the first edition printed in America; Crane A3.2: 1300 copies published. With "fain" for "faint" on the front panel of the dustwrapper. New York: Tibor de Nagy Gallery, 1953. First Edition. Decorated wraps. Wrappers are slightly darkened with two round oily stains on the rear, not too dark. The front wrapper has one short closed tear neatly repaired internally with tape and a sliver chip on the lower right corner with the detached piece still present. Very Good to Near Fine example of this scarce book. Jane Freilicher. Ashbery's first book, a 23-page chapbook in sewn decorated paper wraps, one of only 300 copies printed. Illustrated with four drawings by Jane Freilicher. In this copy two of the plates are duplicated giving a total of six plates. INSCRIBED and SIGNED by the poet to Herbert with love and also INSCRIBED and SIGNED by the artist to Herbert with "my love, too." Both inscriptions are on the title page and appear to be contemporary. Middletown, CT: Wesleyan University Press, (1977). First Edition. Hardcover. Fine in a Fine dustwrapper. SIGNED on the title page and additionally INSCRIBED on the front endpaper to the poet William Meredith: "For Bill,/'a good poet and/a nice man,' who/has been both to me/from/Charles."
. Manuscript. Several words on the last page are partly faded and obliterated by a repaired tear. A spectacular find in Good to Very Good condition. Exceptionally scarce 4-page AUTOGRAPH MANUSCRIPT of a poem written by Auden as a teenager. Published in THE OXFORD OUTLOOK in November 1926 and not published in book form until 1994 in W. H. AUDEN JUVENILIA edited by Katherine Bucknell, from which much of the information below was acquired. Two other manuscript copies of this poem are known to exist, in the collections of David Ayerst (Bloomfield J16) and of Christopher Isherwood, neither exactly identical to this but both resembling this much more than the published version which eliminated several stanzas present here. All told there are 78 lines divided into three sections on both sides of two 6-7/8" x 8-7/8" sheets of paper watermarked "Civic Bond" that have long ago been neatly joined by a conservator who also made several paper repairs. The poem begins "The queen's hand on the king's cold shoulder falling." Bucknell points out that the poem is reminiscent of THE WASTE LAND with the left out passages revealing some borrowing from Eliot's "The Hollow Men." This manuscript was acquired along with a letter from Auden to Robert Medley and was likely given to Medley at some point. Auden met and became friends with Medley in 1922 shortly after Auden's 15th birthday. It was Robert Medley who suggested that Auden try writing poetry. Later Medley helped to create the Group Theater where he provided scenery and costumes for the play ON THE FRONTIER by Auden and Isherwood. New York, . First Edition. Softcover. Fine. Printed wraps; 13 pages. INSCRIBED and SIGNED on the cover : "For Bill Meredith/Archibald MacLeish." With the original envelope. 1947. Manuscript. Very Good and scarce. Holograph Manuscript of "Serenade," first published in the periodicals ATLANTIC in November 1947 and PHOENIX QUARTERLY in 1948 and later included in Auden's 1951 collection NONES. It consists of three stanzas, each with eight lines, on the recto of an unlined 8-1/2" x 11" paper neatly penned completely in Auden's hand with a SIGNED INSCRIPTION at the bottom "To Bill/from/Wystan./June 26th 1947." According to Mendelson, Auden composed this poem in June 1947. There are several differences in punctuation between this manuscript and the printed version, but more importantly are word changes in four lines. Auden salutes the "incumbent" night in the printed version but here salutes the "threatening" night at the end of the first stanza. "The child with careful charm" is here "The careful child with charm." Auden also uses "that" for "which" in line 22 and "from" for "of" in the last line. Alas, we do not know who Bill is. Once folded in quarters, there is a visible but not disconcerting crease mark where folded as well as some minor general wrinkling. Two words in the third line are a little smudged but still readable. With an early undated typed transcription. Finn Rock, OR, 6 July 1979. Letter. Normal mailing folds. Fine with hand-addressed envelope. Fine one-page, single-spaced TYPED LETTER of @250 words SIGNED as "Barry." Lopez congratulates Merwin on winning the Bollingen Prize and then launches into a newsy account of his book tour for OF WOLVES AND MEN: "I could not have been treated better by Scribner's as far as a focus on the book and not on me was concerned." He then discusses his work at hand: "I'm pleased with RIVER NOTES, the second book in the trilogy that began with DESERT NOTES. I wanted the link between the two books to be clear, but for them to be as different as the landscapes from which they derive in their structure and incident, and am satisfied that they are. Milano: All'Insegna del Pesce d'Oro, 1955. First Edition. Hardcover. Bookplate on front pastedown of Maire Christina Magee Lawson. Some wear to the boards, Very Good. Decorated gray boards with sepia head of Pound by Gaudier-Brzeska on the front cover. Copy #41 of 503 printed at the Stamperia Valdonega di Verona. INSCRIBED and SIGNED on the front endpaper by the poet: "Teresa's copy/Ezra Pound." Laid in are three pieces of ephemera: a postcard advertisement for this book with a portrait of Pound signed by V. Scheiwiller, a folded price list with the same portrait from Scheiwiller, and a color postcard of Rapallo, addressed in an unknown hand to Teresa Magee in Rome in 1967, and SIGNED "Love and best wishes/Fifi/John/Olga/Ezra Pound." The postcard is SIGNED by Pound, but the other names appear to be in their own hands. Teresa Magee translated some Italian modern writers into English. Cummington, MA, 28 March 1977. Letter. Fine. AUTOGRAPH LETTER SIGNED filling an entire sheet of 8" x 10" paper to a collector regarding signing books and mentioning thirteen of his titles. In part: "After years of keeping all my work in print, Harcourt Brace J. has just allowed the earlier titles to lapse. I think that one can now get WALKING TO SLEEP, OPPOSITES, THE MIND-READER, Moliere's SCHOOL FOR WIVES and RESPONSES (prose pieces) in hard cover." Much more. Wilbur's calligraphic handwriting makes this an especially attractive piece. London: Faber & Faber, (1932). First Edition. Hardcover. This is a lovely example with light foxing to the endpapers, typical to this title, and bright boards with the gilt fully intact. The cream dustwrapper printed in blue, neatly price-clipped, has just the slightest of wear to the tips of the spine, which is mildly darkened, and a tiny chip at the bottom of the rear panel. Near Fine in a Near Fine dustwrapper. Scarce in this condition. Bloomfield A3: only 1000 copies printed. Auden's third book, though his first consisted of less than 50 copies. New York: The Viking Press, (1965). First Edition. Hardcover. Some dust spotting to top of bulked text. Near Fine in a Very Good dustwrapper with some darkening to the spine and top edges with a short tear at the rear. Poet's second book, SIGNED on the title page and INSCRIBED on the half-title page in 1971: "for Bill Meredith/with gratitude for/this most pleasant/meeting/Irving." Laid in is an AUTOGRAPH LETTER SIGNED from Feldman to Meredith forwarding a poem (not present) and asking about Randall Jarrell's family. Lord John Press, 1981. First Edition. Broadside. Fine. James R. Silke. First Separate Printing of this poem on a 16" x 11" broadside designed and illustrated by James R. Silke. One of 150 numbered copies SIGNED by Carver and Silke. Port Townsend, WA: Graywolf Press, (1983). First Edition. Softcover. Fine, uncirculated copy acquired directly from the publisher, apparently one of only two issued in this format. Scarce Advance Copy in printed wraps of this collection of poems from limited editions 1968-1981. London, 22 December 1953. Letter. Central vertical and horizontal folds with staple holes to one upper corner. Fine. One-page letter on both sides of Faber & Faber stationery SIGNED by the poet. Addressed to Anne Munro-Kerr of London's League of Dramatists. In part: "I am not quite clear, I am afraid, as to how we have been dealing with productions of my plays in the French translation, outside of France itself--that is to say, in Brussels and Geneva.... I excepted France in my arrangements with you for the reason that Monsieur Henri Fluchere, the translator, who had taken the whole initiative in getting the successful production of MEURTRE DANS LA CATHEDRALE in 1945, likes to deal with these matters himself, as he has theatrical connections and also considerable financial interest in the success of my plays in his translation, he has seemed wholly competent to do so.... He would like, however, to make his responsibility inclusive--that is to say, have the four plays that he has translated whenever they are produced in French ... and I am prepared to sign an agreement to that effect. This will not, of course, have any retroactive value for any of the productions previously in Brussels or Geneva that have been arraigned by yourselves." The letter is 6-1/2" x 7-1/2" and is double-matted with a portrait and framed to an overall size of 18-1/2" x 14-1/2". Fluchere was a prominent literary critic and translator, best known for his studies of Shakespeare, who served as Eliot's primary French translator. In addition to his plays, Fluchere translated several of Eliot's poems and critical essays; the collaboration was mutually beneficial, with Eliot contributing the foreword to the English version of Fluchere's 1956 scholarly work SHAKESPEARE AND THE ELIZABETHIANS. This letter, in particular, refers to the translation of MURDER IN THE CATHEDRAL, which was first performed in 1935. A fabulous letter revealing the worldwide appeal of Eliot's acclaimed literary work.